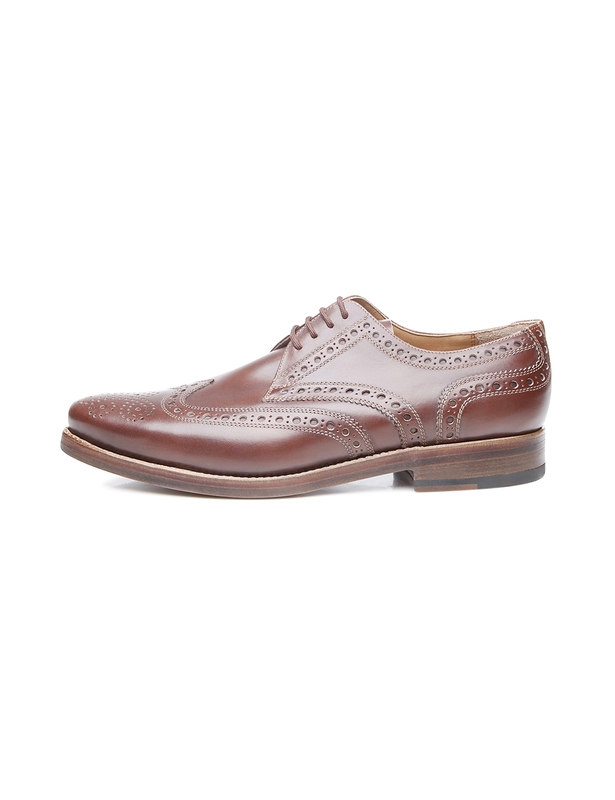 This hand-welted men’s Derby gets its hint of playfulness from the elaborate Lyra perforation pattern on the upper section of the shaft. 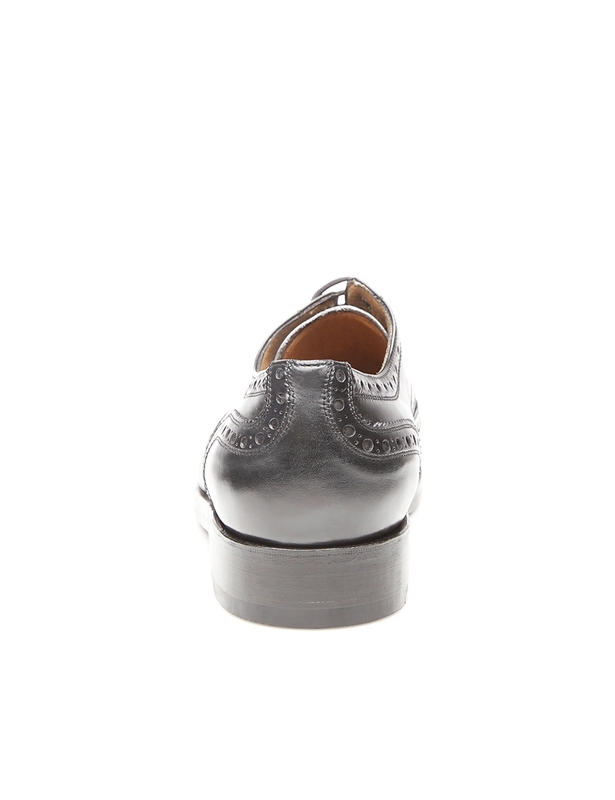 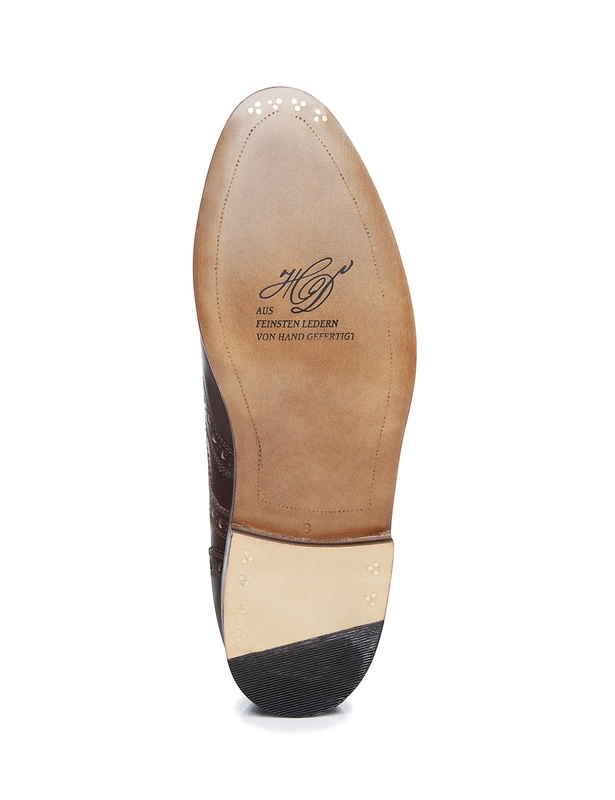 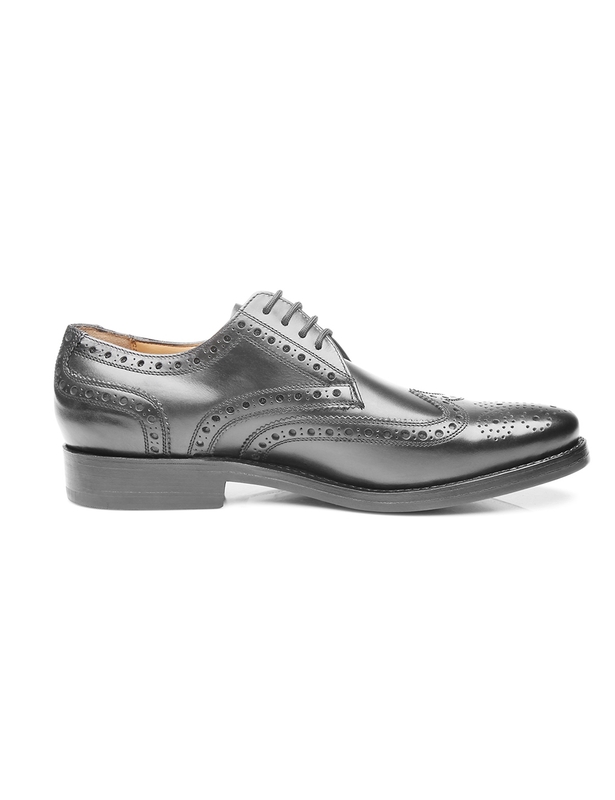 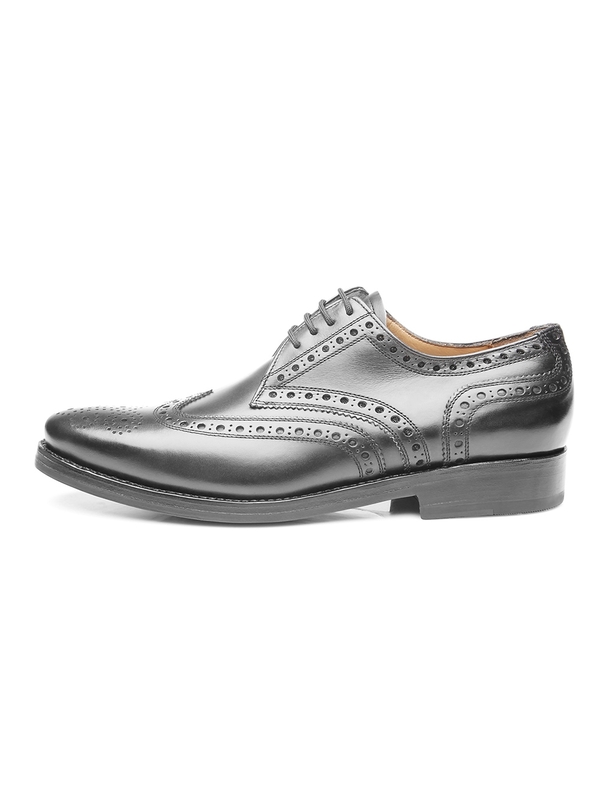 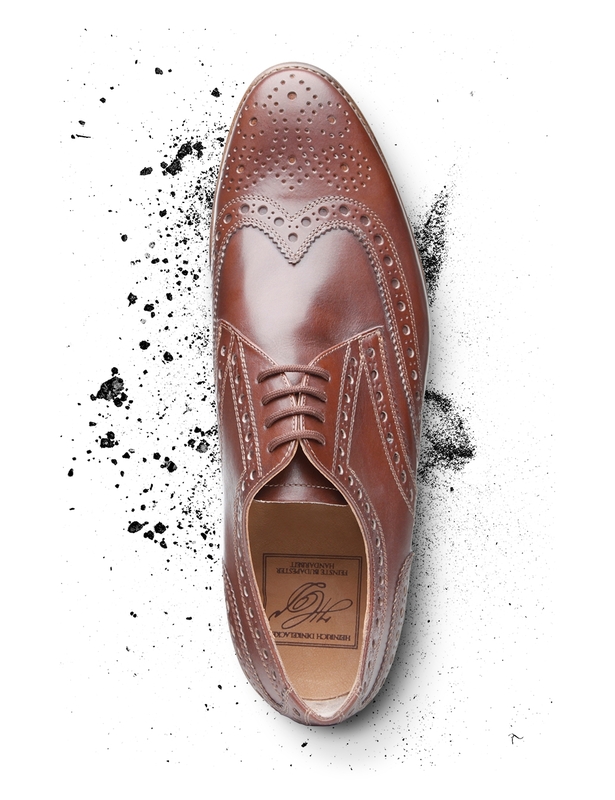 This decoration, called broguing, along with the meticulous manufacturing process this model underwent in the Hungarian capital city, makes this premium full-leather shoe truly versatile. 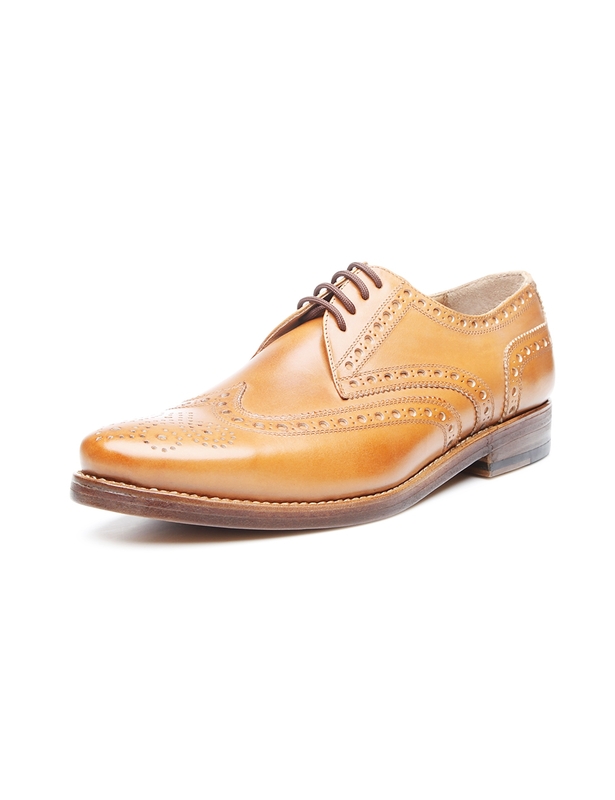 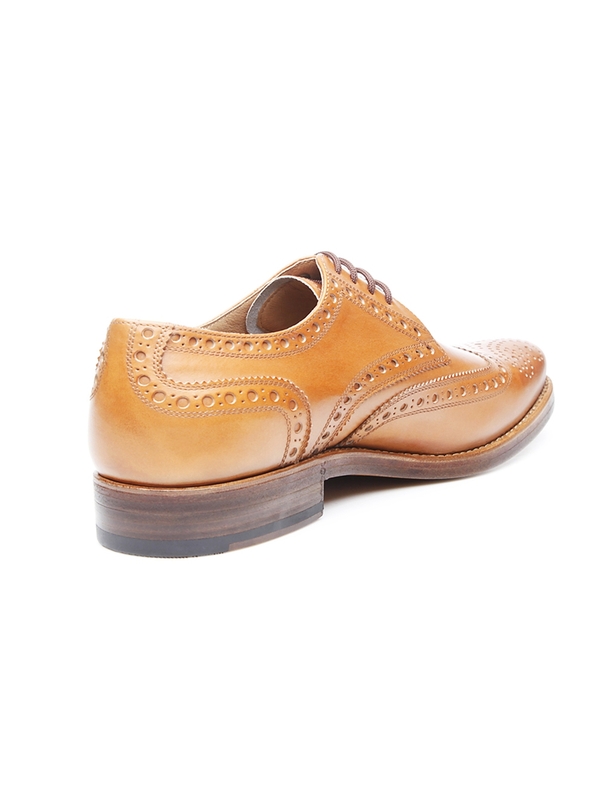 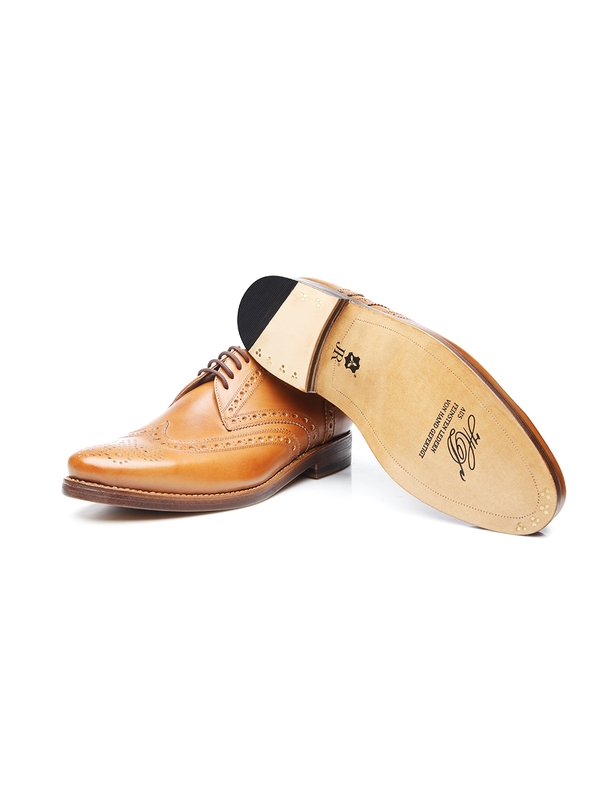 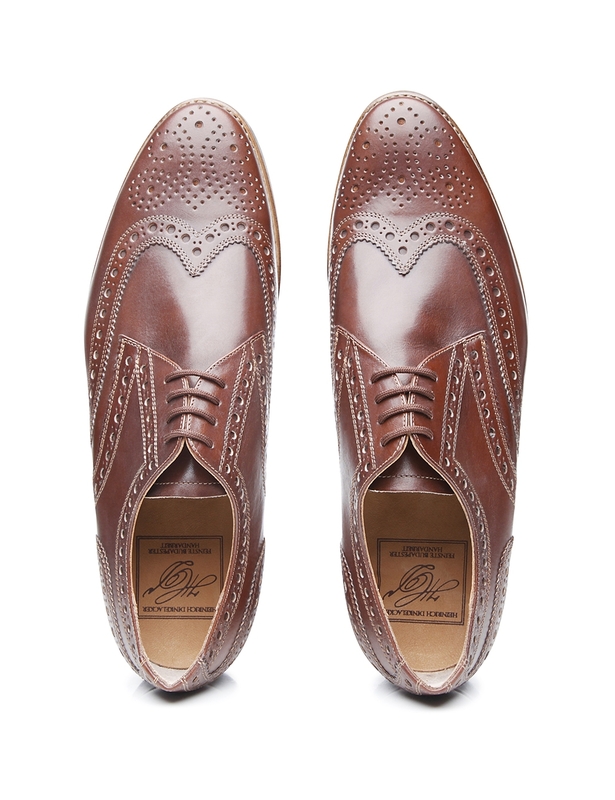 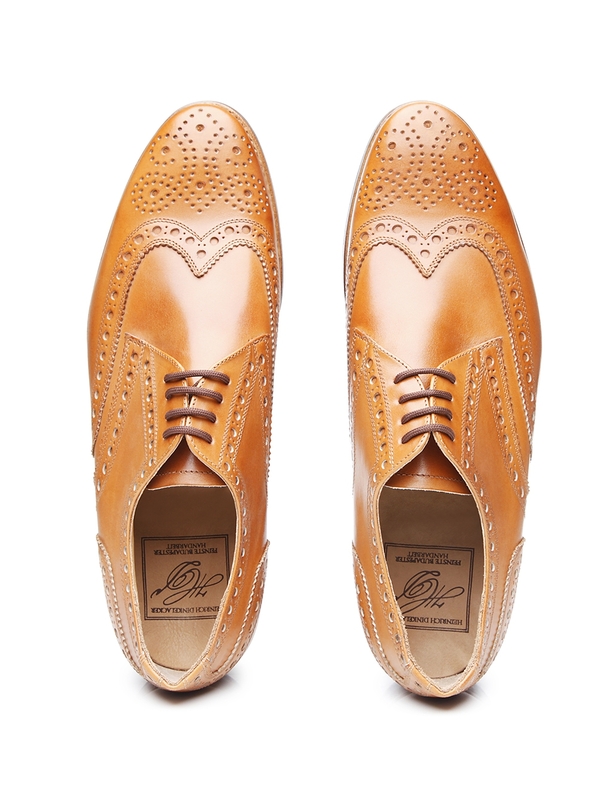 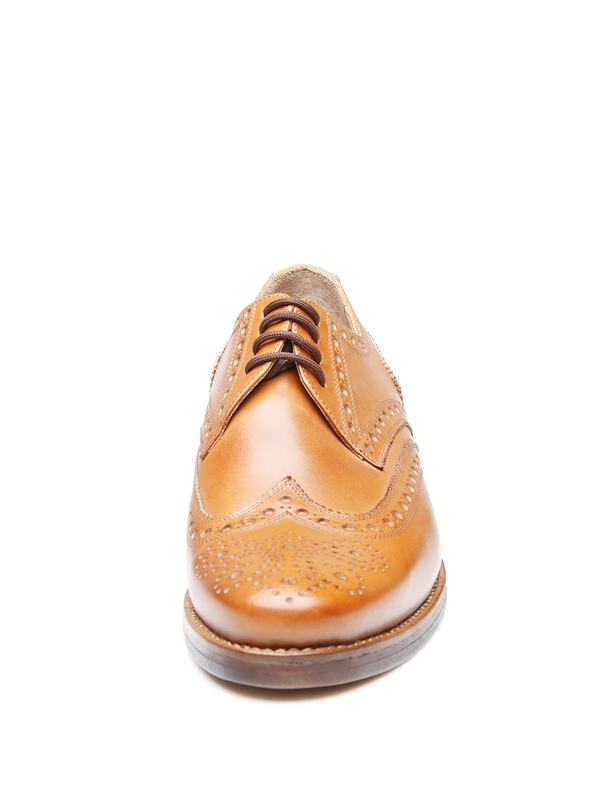 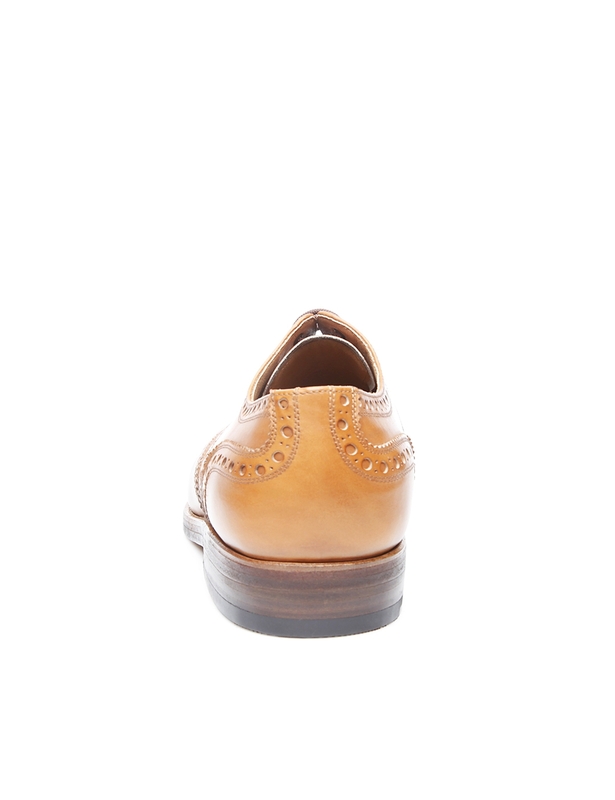 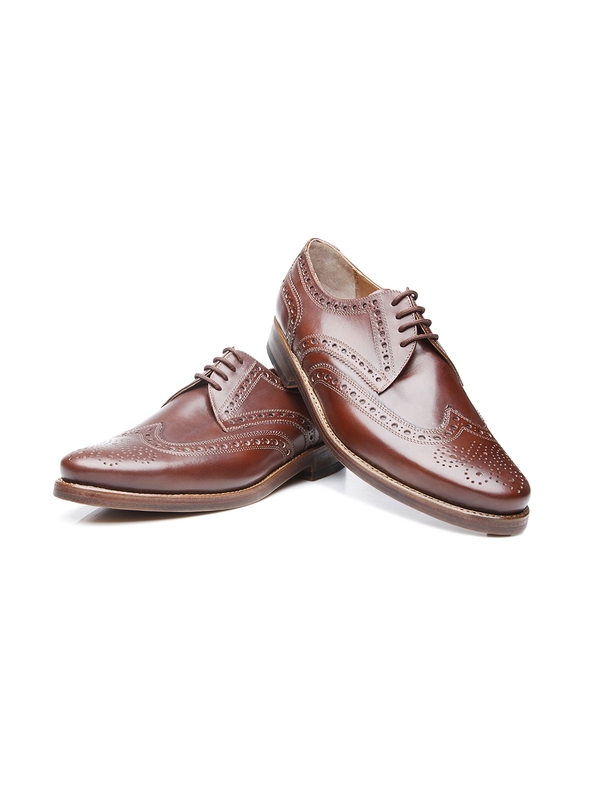 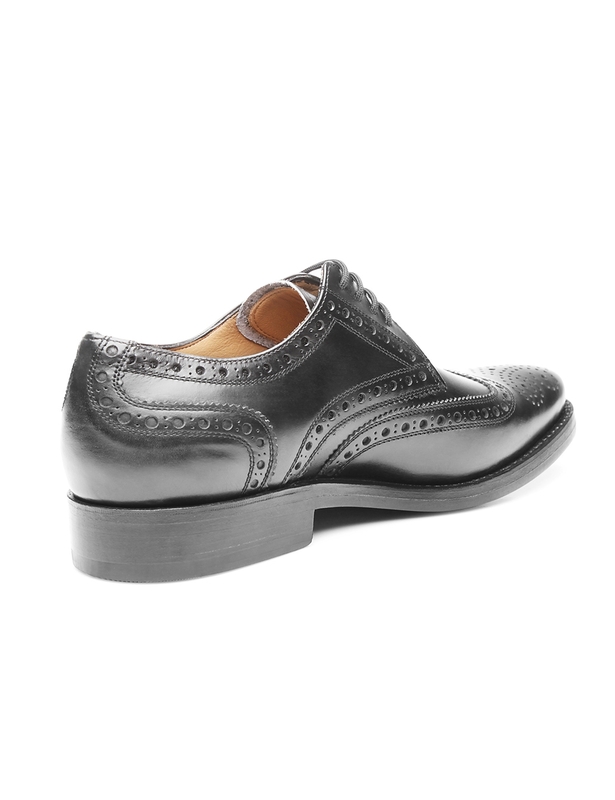 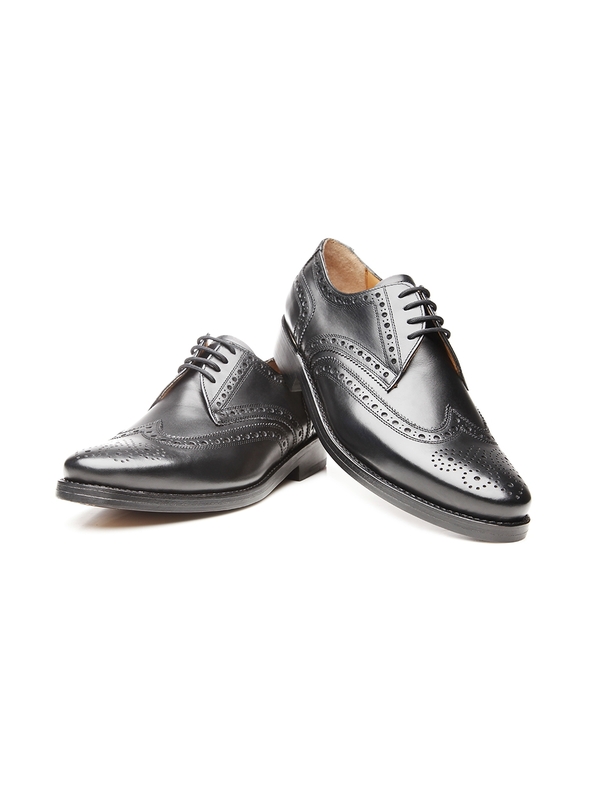 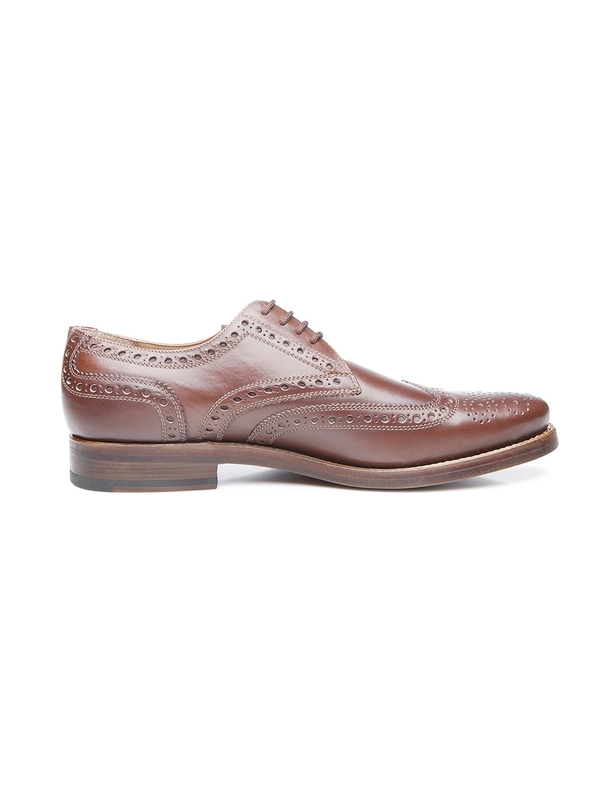 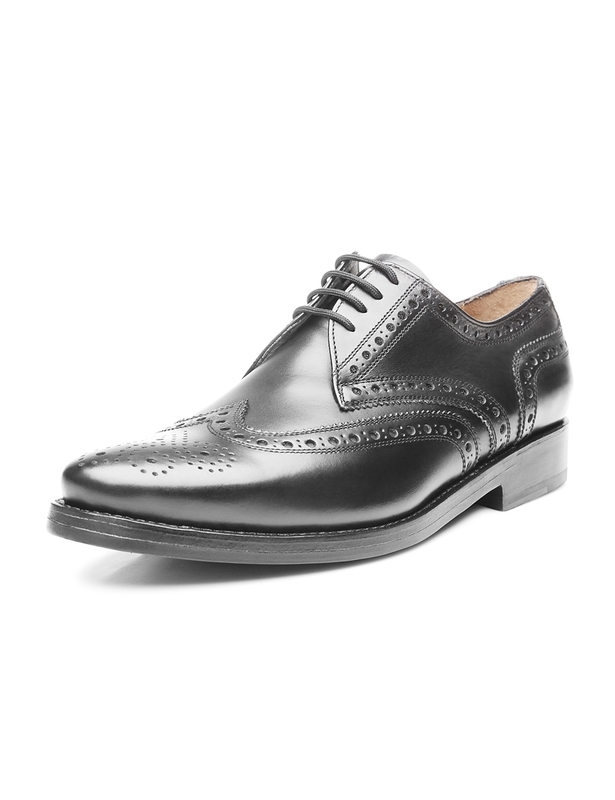 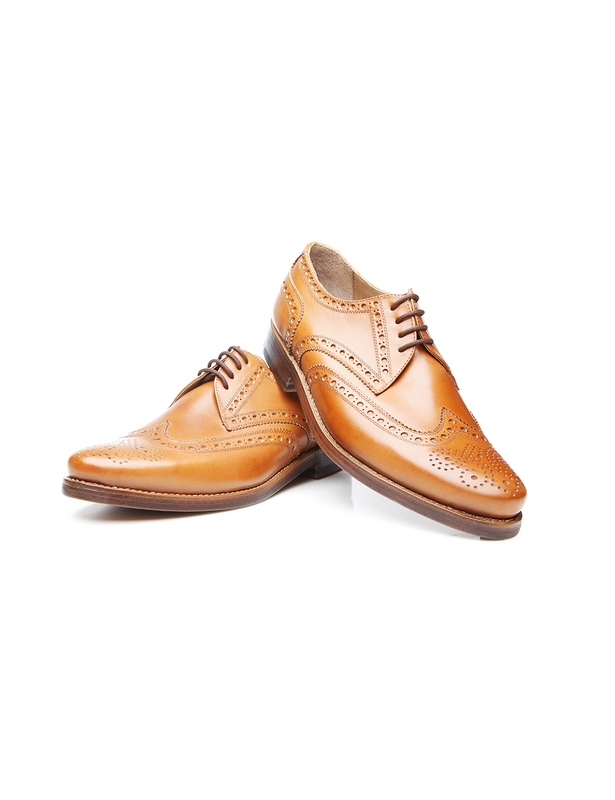 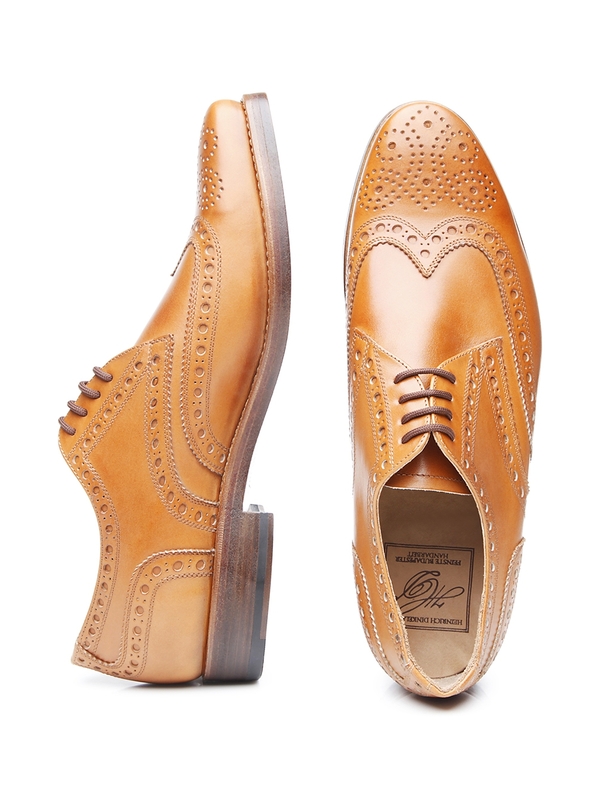 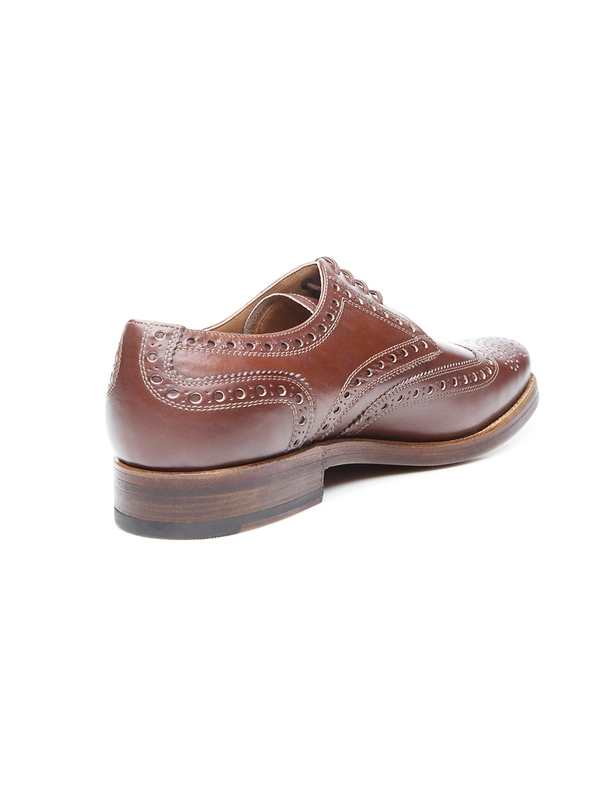 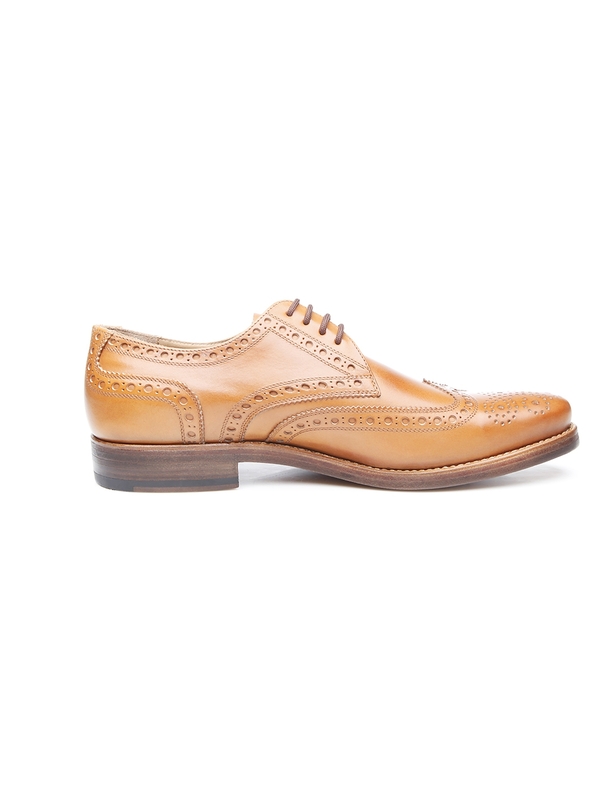 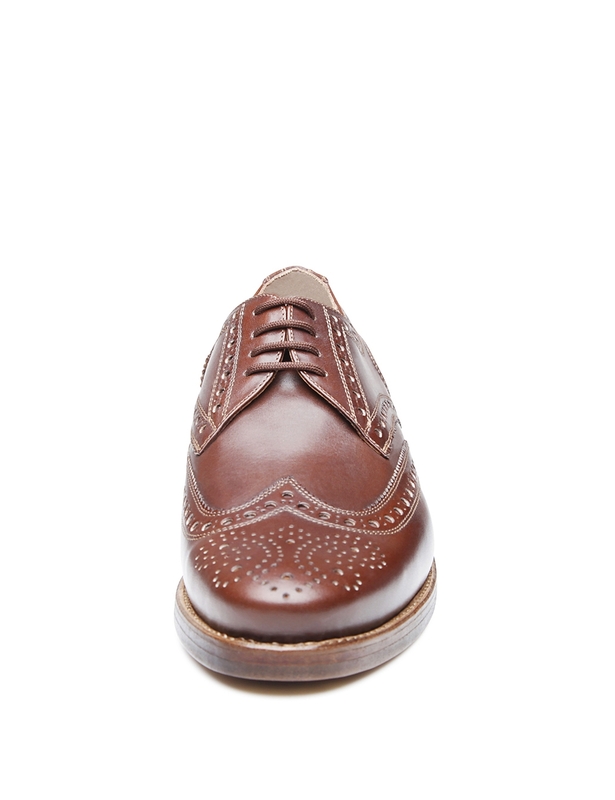 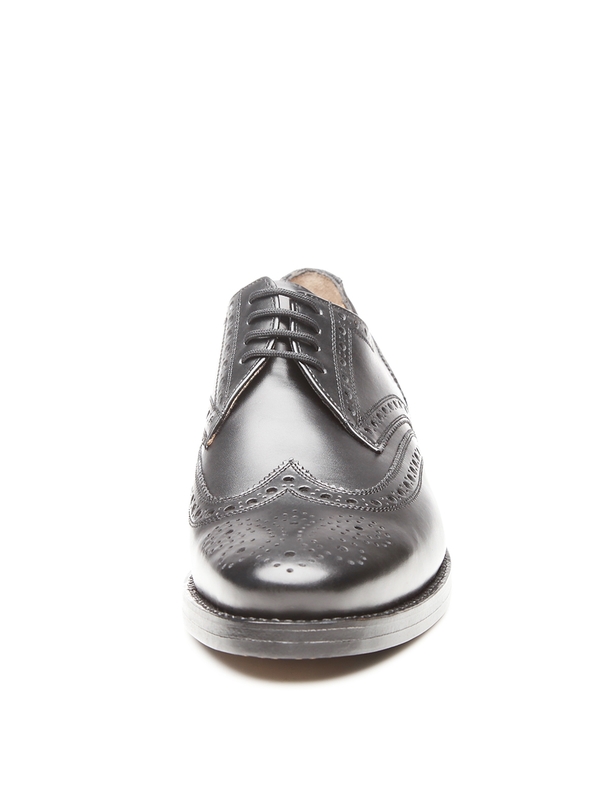 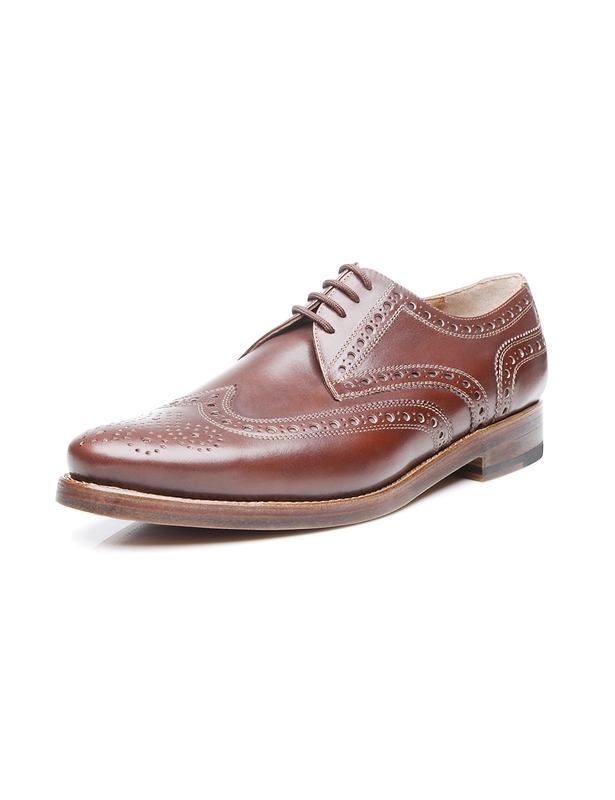 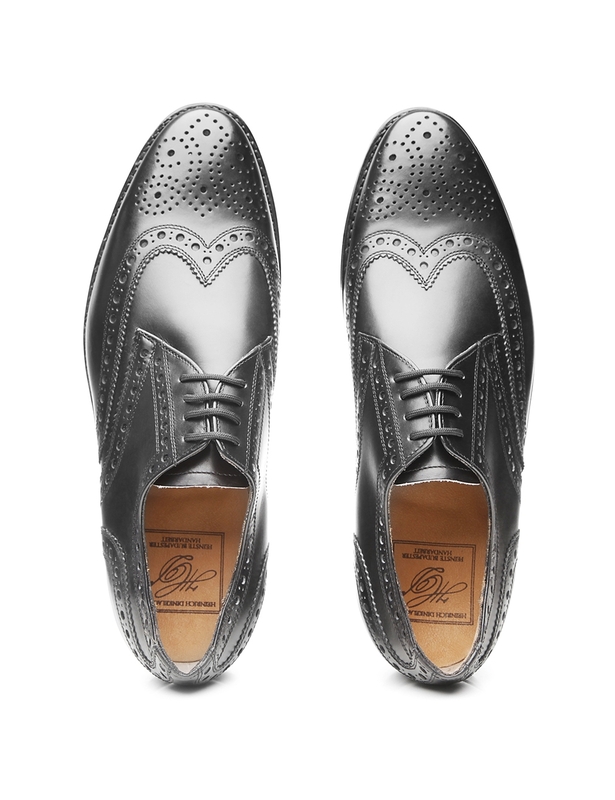 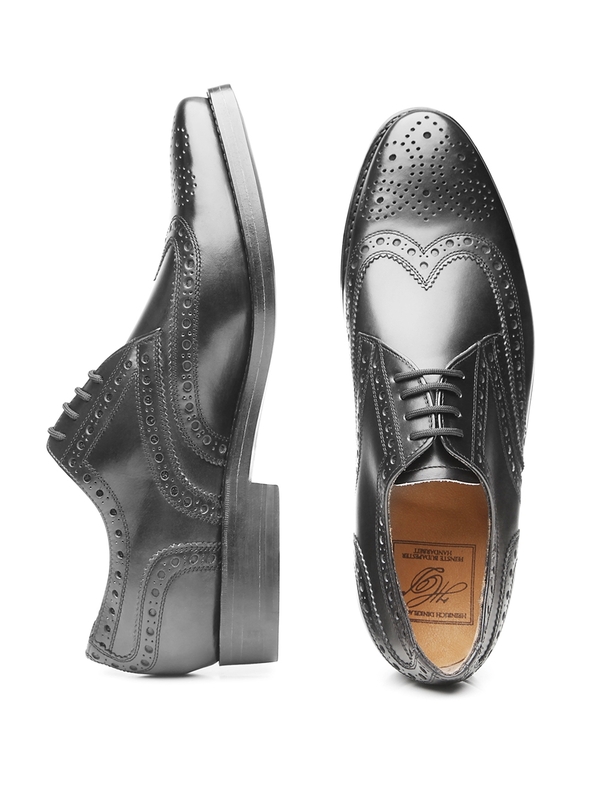 Created from the finest antique calf by master shoemakers, this full-brogue Derby entrances with its high quality and durability. 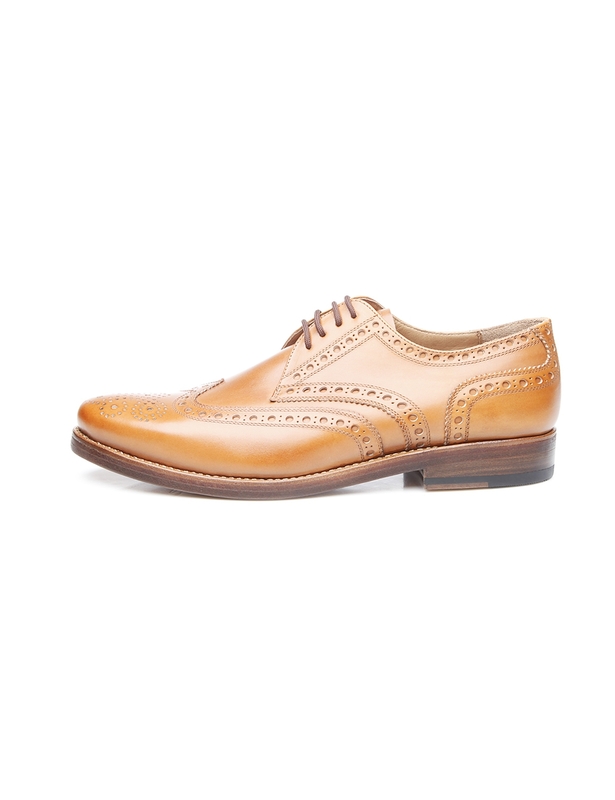 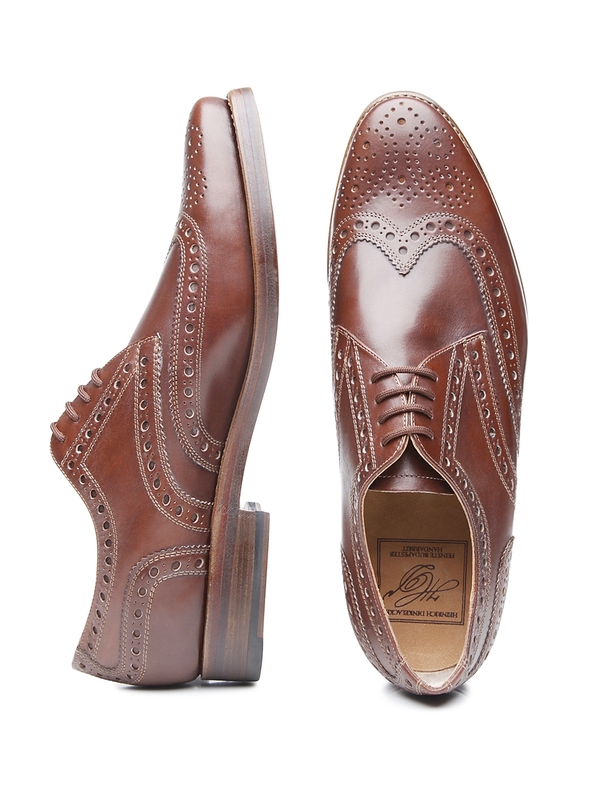 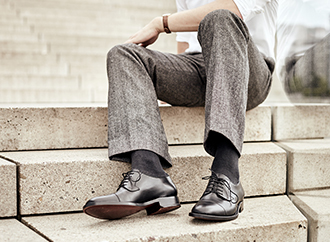 Its aniline-dyed calfskin shaft develops a patina over time, making each pair truly one-of-a-kind. 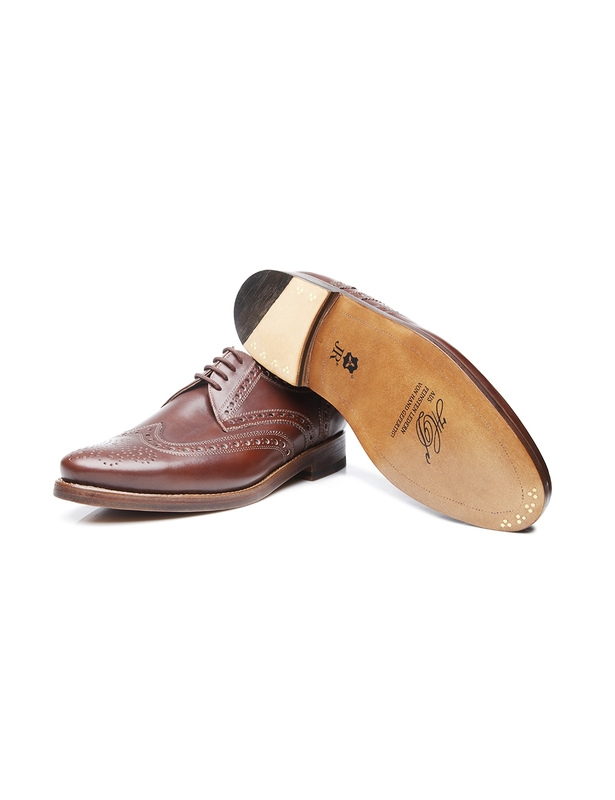 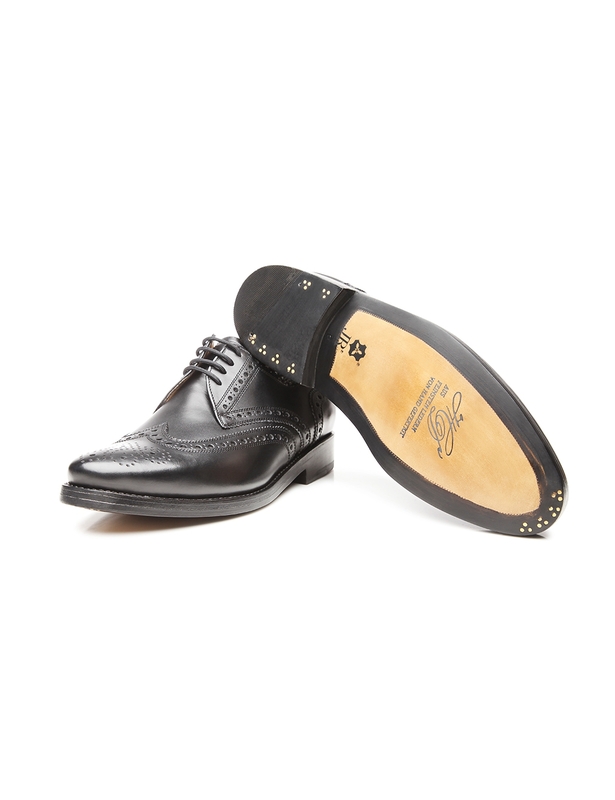 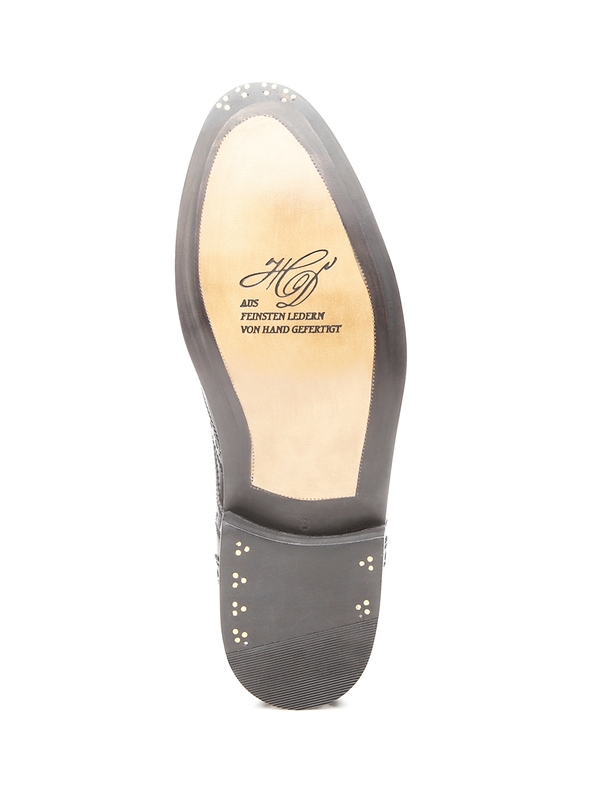 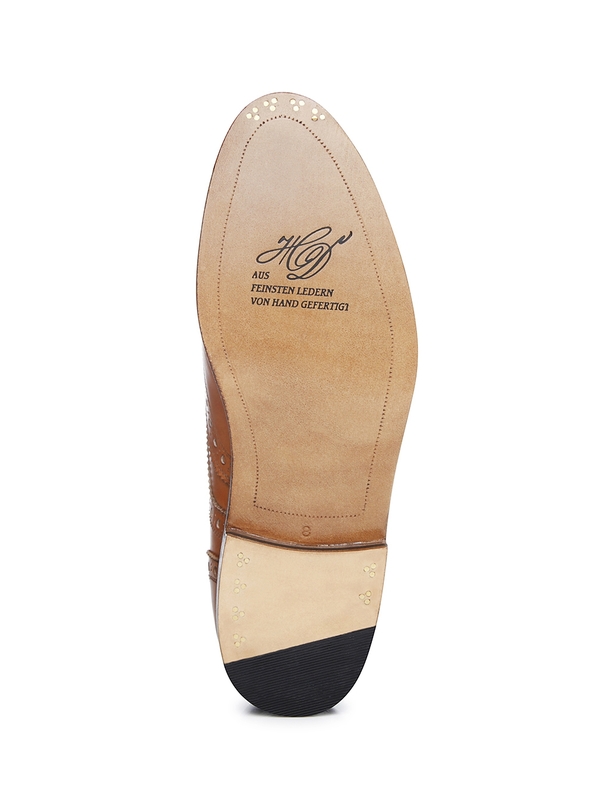 The durable sole with a classic set of three nails is constructed using a leather outsole from Rendenbach.